This just in from comicbook.com! 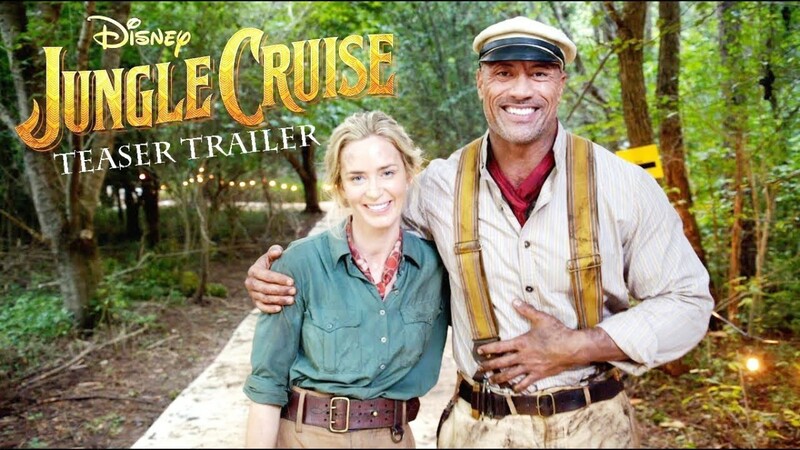 Disney just revealed our first look at their new rollercoaster ride based project Jungle Cruise, and The Rock and Emily Blunt are along for the ride. The new teaser trailer features Emily Blunt and Dwayne The Rock Johnson in costume going back and forth a bit with banter, saying the film will be the adventure of a lifetime, though Blunt isn’t happy that it was her line to say that and not his. She gets to say it by trailer’s end though, and you can watch the whole thing in the video above. “It’s going to be great. I mean it’s really I think Dwayne is just such a great character to work with. You know he’s really just so good, top of his game I would say,” Morrison said. “And I can say, Jaume Collet-Serra who’s our director, is I would say a master of action and suspense. I read in the press that they’ve dubbed him as like the new Hitchcock. And I actually think that’s not terribly unfair, because he’s got such great dramatic tension in all his pieces.